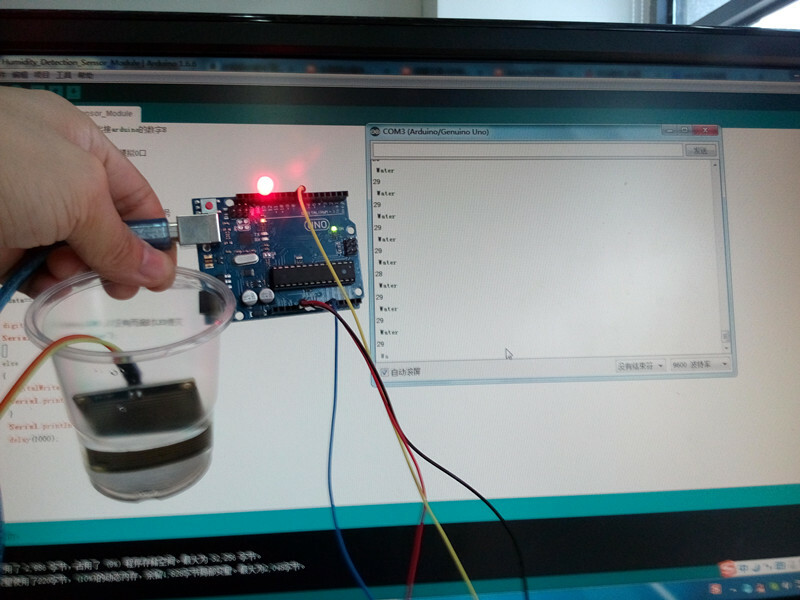 In this project, we will use a water drop sensor to detect water droplets. When water drops onto the surface of the sensor pad, the sensor DO pin will export low voltage, otherwise it will export high voltage. 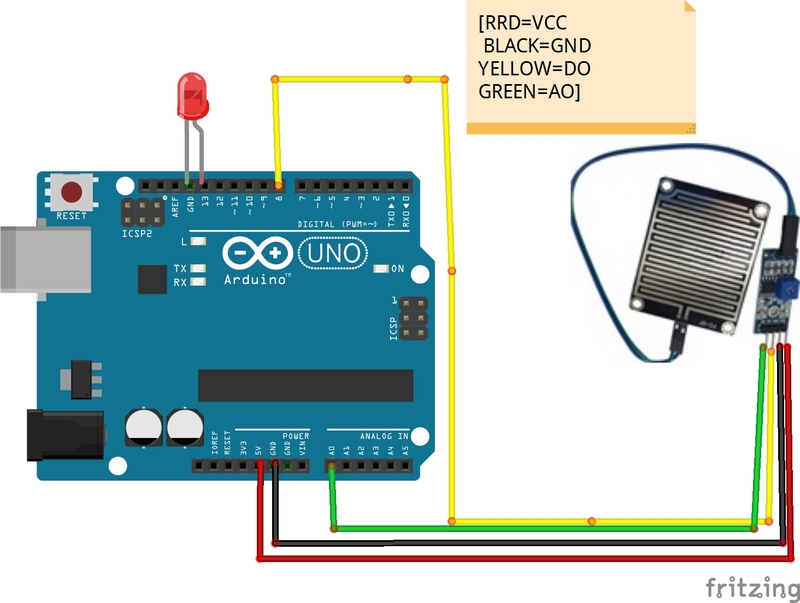 We will use an Arduino to listen for the DO pin voltage and thereby detect the amount of water in the proximity of your sensor. 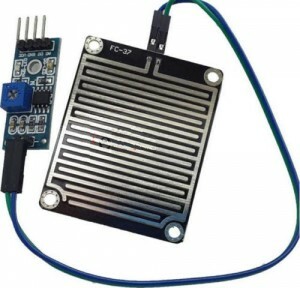 4) Download sample code and load it onto your Arduino. When the water sensor detects water, the LED turns on, and serial window will show “Water” and a value corresponding to how much water is near the sensor. The lower this value, the higher the level of surrounding water.